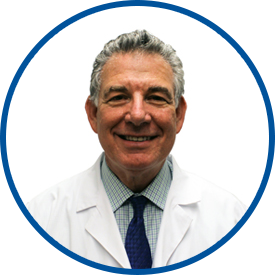 Most recently, Dr. Schliftman has been Chief of Dermatology at Westchester Medical Center and at Maria Ferrari Children’s Hospital, and in private practice in White Plains. Concurrently, he has been section chief of dermatology at White Plains Hospital and section chief, Division of Dermatology at New York Medical College. Dr. Schliftman has served as: head of the Laser Section, Department of Dermatology at New York Medical College, co-director of the Cutaneous Laser Research and Treatment Center, associate director of dermatology at Westchester County Medical Center and assistant clinical professor of dermatology at the Albert Einstein College of Medicine. Former president of the National Port Wine Stain Foundation and is a member of the American Academy of Dermatology. DR Shliftman was very caring and patient today. the most caring and concerned physician! Dr. Schliftman is probably the best doctor in your group. He was responsible for saving my life. I would have no hesitation in having him as my doctor. I recommend Dr. Shliftman all the time. Excellent communication with my teen on hygiene.